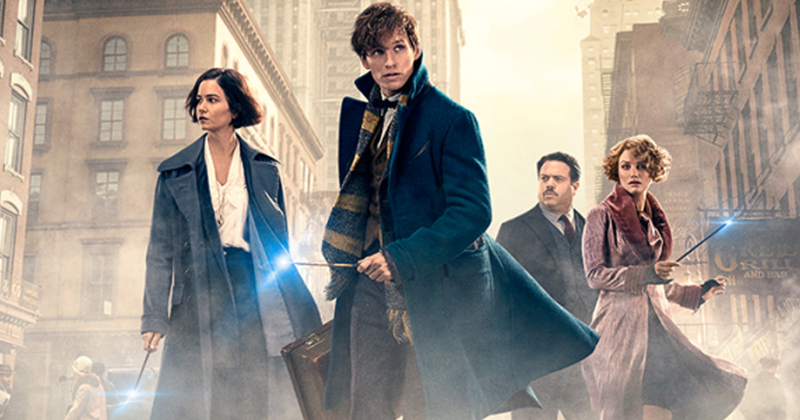 We’re pretty obsessed with all things Harry Potter, which is why we can’t wait for the upcoming Fantastic Beasts and Where to Find Them movie. Whether it’s the film’s trailers, virtual reality games, and J.K. Rowling’s reveals about the American world of witches and wizards, we’re so excited for November 18th, the date of the film’s release, that we’re counting down the days like Harry does when he’s ready to leave the Dursley’s and head back to Hogwarts. Yet, one part of the Harry Potter films that we love is the music. We still listen to soundtracks all the time whenever we feel like taking a trip back to Hogwarts. That’s one of the reasons why we were so excited by the Fantastic Beasts trailer, as we finally got a taste of the film’s soundtrack. Now we’ve been given an even bigger taste of the film’s musical accompaniment and it’s MAGICAL. The film’s score has been written by Grammy and Emmy Award-winning composer James Newton Howard, who has previously worked on films like The Hunger Games, The Dark Knight, and even Pretty Woman, and Pottermore has just premiered the opening theme in the movie and we have SO many feelings right now. Opening with the memorable melody from “Hedwig’s Theme” (the main theme in Harry Potter), the music then changes and becomes dramatic, ominous, and totally brilliant. We totally love the nod to the old films, while making sure that the new soundtrack has its own distinguishing features. "You hear the main theme song of the movie play when the main crew arrive at the MACUSA the first time and various other times," James told Pottermore. "You hear this haunting kind of theme. If you had to say what is the theme for Fantastic Beasts and Where to Find Them for now and in the future, it would be that theme." The composer said that he actually wrote the music in quite a simplistic way until he knew he’d gotten it right. "I wrote it on my piano because I believe that if that kind of thing is going to be good, it should be done that simply," he said. What’s more, Pottermore also revealed the soundtrack’s release date and the CD packaging and it looks stunning! 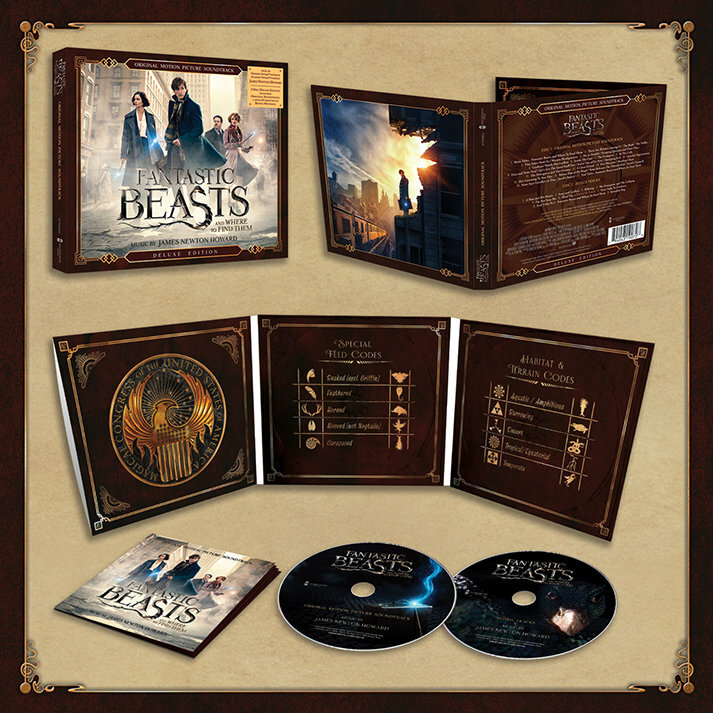 The standard edition of the soundtrack will include 18 tracks, including songs titled “There Are Witches Among Us” and “Newt Releases the Thunderbird.” Meanwhile, the deluxe edition will have 20 tracks. Both soundtracks will be released on November 18th. While we’re not sure what to make of the song titles, we do know that we are SO excited for the film’s release, and actually can’t wait until November 18th. Not long now! 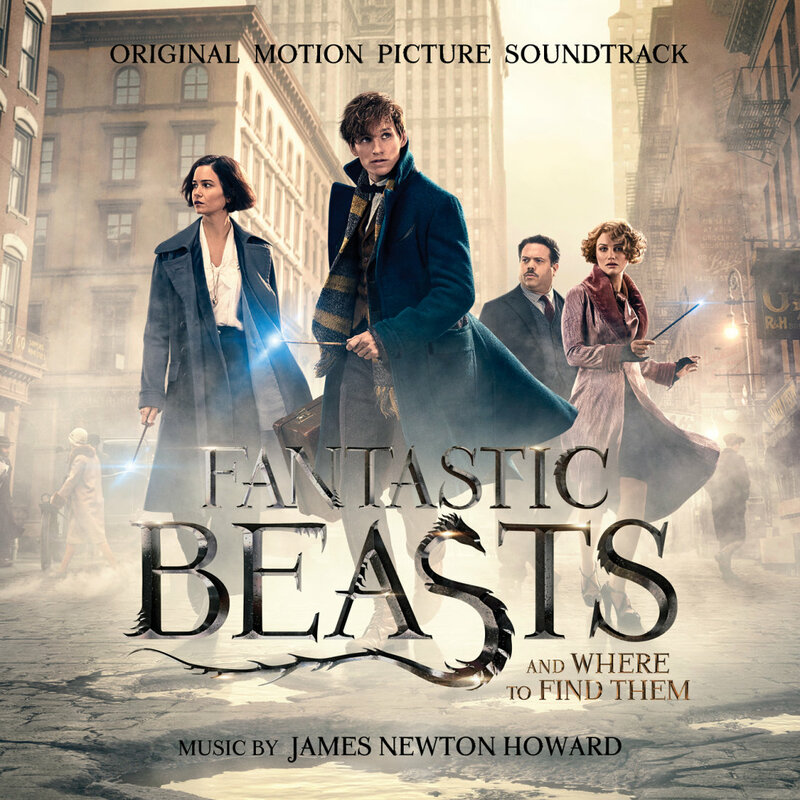 You can pre-order the Fantastic Beasts and Where to Find Them soundtracks now.